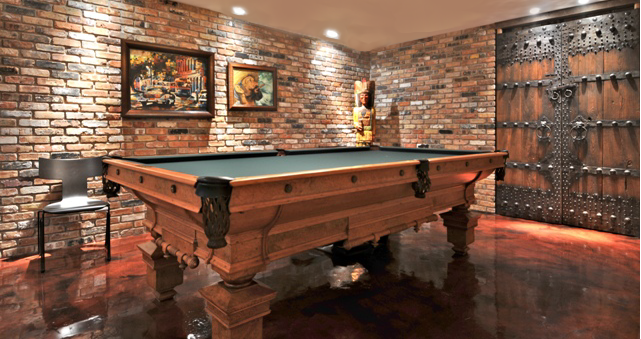 The acid stained concrete floors have been custom colored to enhance the old Chicago brick walls. Antique Chinese garden gate doors add to the interest and character of this room. 2018 © Nancy Cameron. All Rights Reserved.